InnoLas Systems GmbH continues to establish itself as a technology leader in the laser processing of thin film solar cells. Recently the company installed pioneering P1, P2 and P3 scribers at a 100 MW CIGS fab in Korea. This is further proof that InnoLas’ innovative laser technology for P2 scribing of thin film solar cells gains world wide acceptance. This year P2 laser scribers for the structuring of CIGS semiconductors are delivered to four different customers. 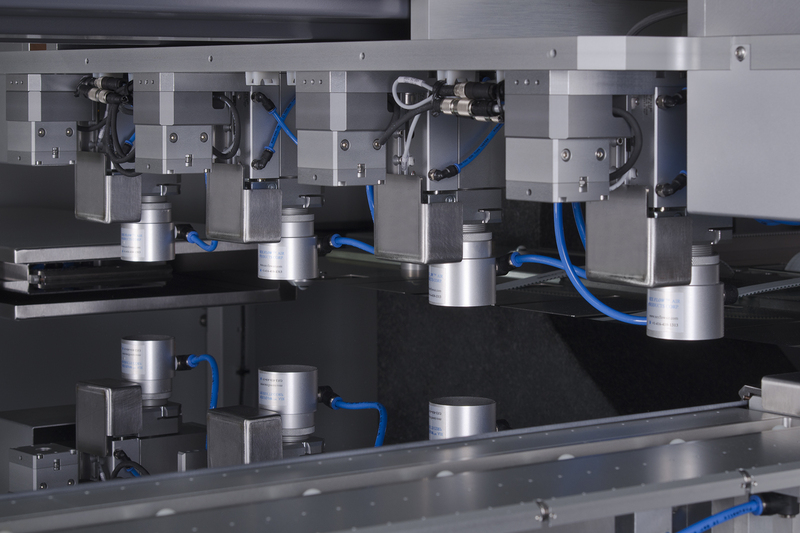 These state of the art laser patterning tools support 250 MW production volume world wide. At the EU PVSEC trade show (stand 3.0/G17b, Frankfurt a. M., Germany, September 24.-28.) visitors can learn more about this technology and discuss the benefits with the experts from InnoLas. InnoLas also offers advanced laser systems for R&D applications. The company has received an order for a multi-functional laser tool, tailor-made for the rigorous requirements in modern photovoltaic development labs. This system can process any individual pattern either from the film side or from the glass side with multiple wavelengths. All layers (P1, P2 and P3) can be laser scribed, and the processing side and process parameters are selected through simple menu commands. Mechanical scribing (P2, P3) is available on the same system. Highlights include integrated In-situ metrology, giving 100% control over scribe performance and enabling the user to optimize process parameters on the fly. InnoLas Systems GmbH produces laser systems for micro material processing, particularly in the photovoltaic industry, for semiconductors, electronics and precision engineering. InnoLas Systems designs and manufactures machinery solutions as stand-alone systems or for inline integration, perfectly adapted to industrial production conditions. Worldwide service and support ensures smooth setup and reliable operation. InnoLas Systems utilizes innovations in laser technology to produce highly-efficient and reliable processing systems.